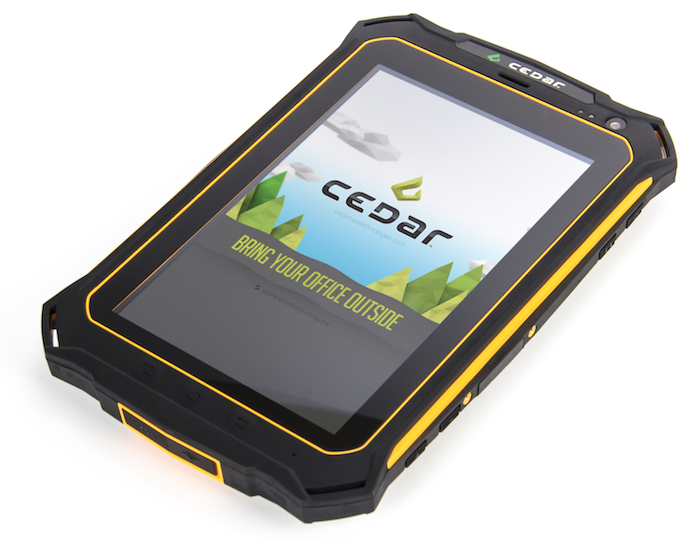 Juniper Systems’ subsidiary company, Cedar Tree Technologies, has recently been merged into Juniper, allowing you to buy Cedar rugged handhelds directly from Juniper Systems. What are Cedar Tree handhelds, you ask? And how are they different from Juniper Systems’ handhelds? We’ll lay it out for you to help you decide which product is right for you. The first way these two product lines differ is in terms of ruggedness. 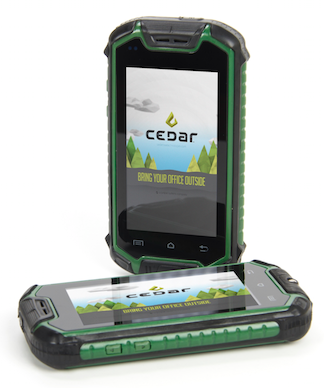 Cedar products are ideal for customers who need a rugged device, but may not need quite the level of ultra-ruggedness that Juniper Systems’ handhelds provide. While the IP ratings for dust and water between Cedar & Juniper’s products may not differ much, Juniper products have been designed to withstand heavier abuse in harsher environments. Whether you need that level of ruggedness or not really depends on your application. 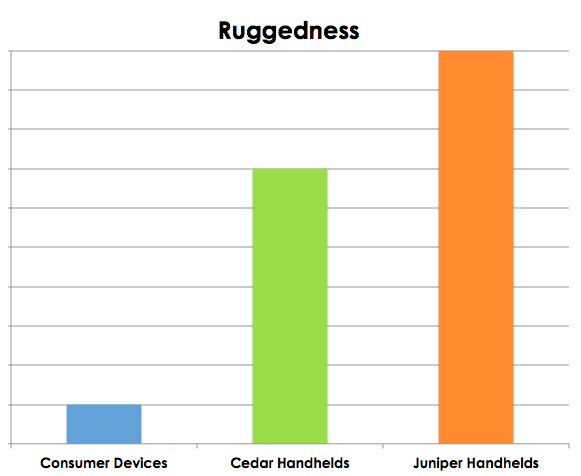 Going along with ruggedness, Cedar handhelds are intended for customers who may not need the extraordinary level of support that Juniper handhelds include. If you want live, one-on-one support, buying a Juniper handheld is the way to go. With Cedar handhelds, you can download an app from the Google Play Store and get to work, so the level of support is not the same. Cedar handhelds are not serviceable like our Juniper handhelds are, but they do come with a 1-year replacement warranty for manufacturer defects. Juniper’s products are serviceable and include a 2-year warranty. Complete Care service plans are also available for Juniper handhelds only, offering customers extended warranty coverage and expedited service. Juniper Systems’ handhelds are about as top-of-the-line and ultra-rugged as you can get. Their quality and level of support are unmatched, and so, understandably, they are priced higher. Because Cedar Tree products don’t need to handle quite as harsh of conditions or include the same extent of support as Juniper handhelds do, they are available for a very affordable price. 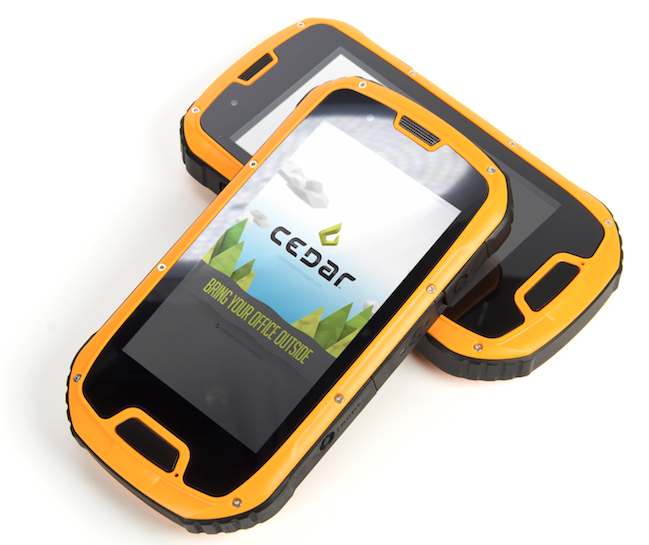 Cedar Tree handhelds run on the Android® operating system, while Juniper handhelds run on Windows® Embedded Handheld (WEHH). Rugged handhelds have long run mainly on Windows Mobile OS, so most data collection software out there is built for WEHH. However, if you don’t need to purchase specific data collection software for your application, then an Android-operated Cedar handheld might be just what you need. WEHH doesn’t have an official app store, so Juniper handheld users must purchase third-party data collection software to run on their handheld. This isn’t really a problem, since customers who purchase Juniper handhelds usually already know the software they need, and will often buy the handhelds as part of a hardware-software package. Juniper handhelds, like most WEHH handhelds, are used mainly for one sole purpose—to collect a specific kind of data—so having just one software program on the handheld is all that’s needed. On the other hand, Android-operated Cedar handhelds offer thousands of apps and Google services through the Google Play Store. Users can browse through a wide variety of business-ready apps and choose ones relevant to their application. With the number of apps available through the Google Play Store, users may purchase a Cedar Tree handheld, download the app they need, and are ready to go. As we talked about above, Juniper Systems’ handhelds require specialized software to be loaded onto them before they’re ready to work for a specific application. So from that perspective, Cedar handhelds might be considered more usable right out of the box. However, when customers purchase Juniper handhelds as a software/hardware package from one of our partners, they receive a usable, out-of-the-box solution as well. 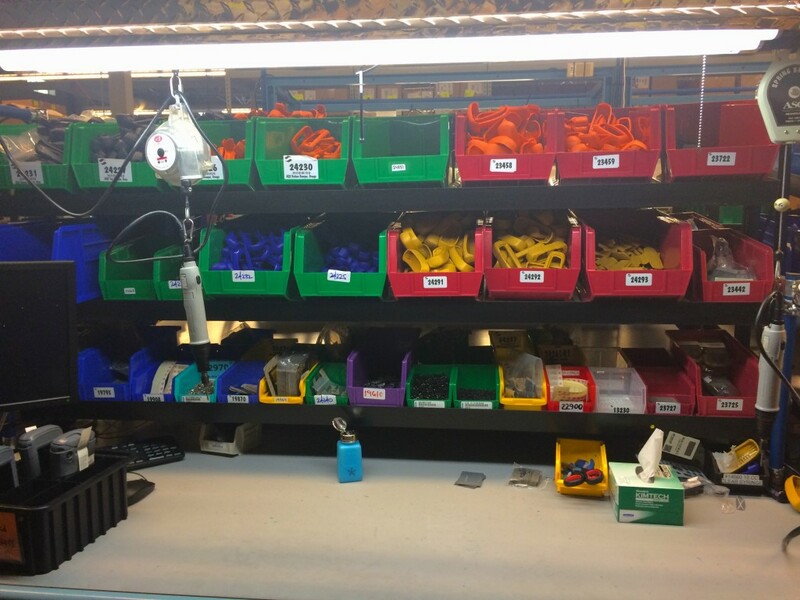 Juniper Systems’ handhelds are all designed and manufactured here in our Logan, Utah facility, which allows us to offer a large range of customization options on Juniper handhelds. Cedar handhelds are intended as more of an off-the-shelf solution, so customization options are not available at this time. We’re very excited to be carrying Cedar handhelds, as they’ll allow us to expand our solutions to meet the needs of a wider range of customers. Not only will we provide our usual ultra-rugged, practically bullet-proof Juniper handhelds, but now we’ll also have an inexpensive option for those who really don’t need all the bells and whistles. Click here to see our Cedar handhelds. To learn more about which product is right for you, contact us online or by phone at 435.753.1881.